OK, this study was done in mice, but it's the kind of study results that everyone hopes (and thinks) is also true for humans. 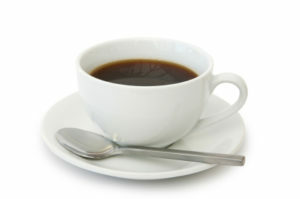 So drink a nice cuppa black tea and think about how you're increasing bacteria in the gut associated with weight loss. UCLA researchers have demonstrated for the first time that black tea may promote weight loss and other health benefits by changing bacteria in the gut. In a study of mice, the scientists showed that black tea alters energy metabolism in the liver by changing gut metabolites. The research is published in the European Journal of Nutrition. The study found that both black and green tea changed the ratio of intestinal bacteria in the animals: The percentage of bacteria associated with obesity decreased, while bacteria associated with lean body mass increased. The researchers also collected samples from the mice's large intestines (to measure bacteria content) and liver tissues (to measure fat deposits). In the mice that consumed either type of tea extract, there was less of the type of bacteria associated with obesity and more of the bacteria associated with lean body mass. 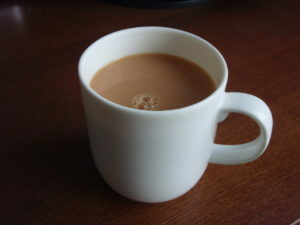 However, only the mice that consumed black tea extract had an increase in a type of bacteria called Pseudobutyrivibrio, which could help explain the difference between how black tea and green tea change energy metabolism.